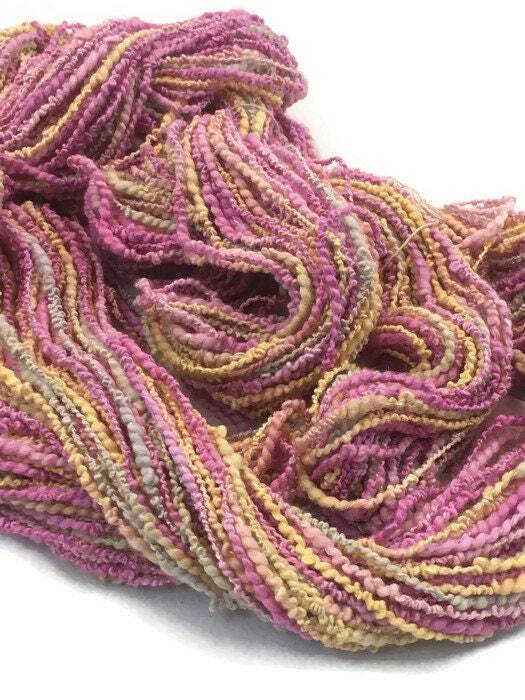 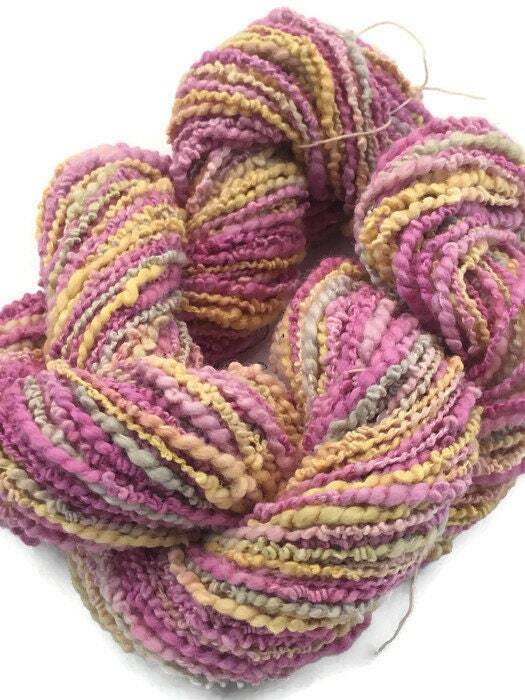 This hand-dyed cotton and rayon boucle is a very textured yarn that is soft and has some shine. 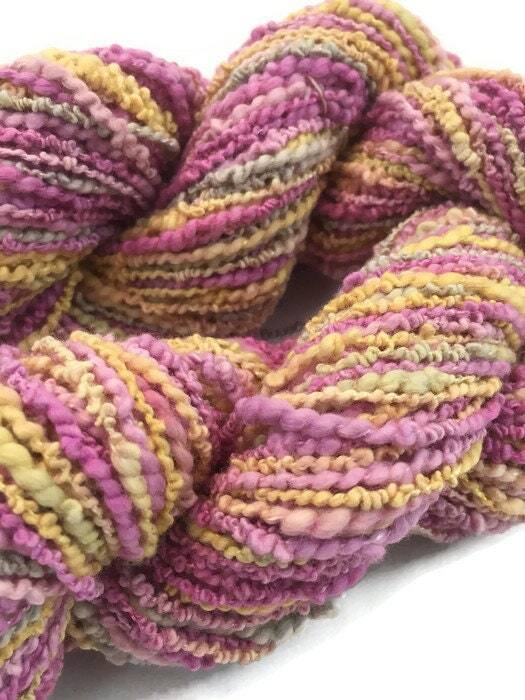 The colors are yellow, light yellow, grey, light pink, and pink. 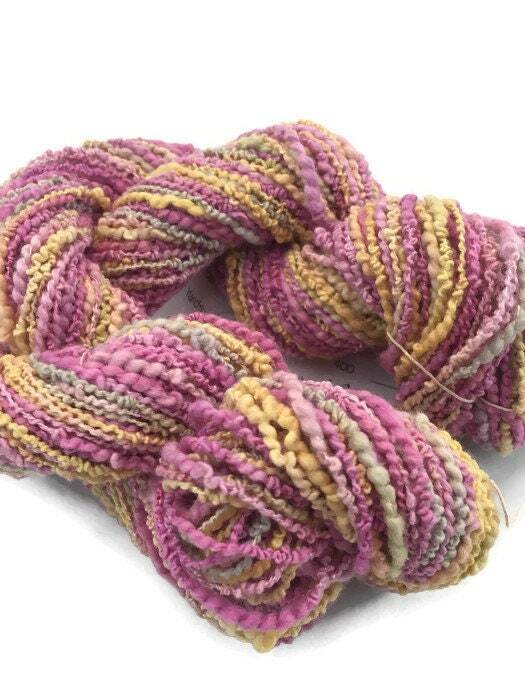 Each skein is 100 yards and weighs approximately 1.9 ounces. 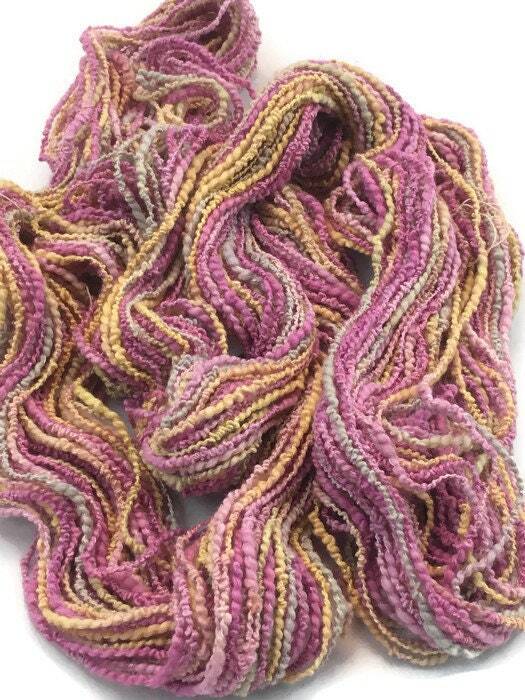 This is a DK weight yarn and it wraps at 12 wraps per inch.